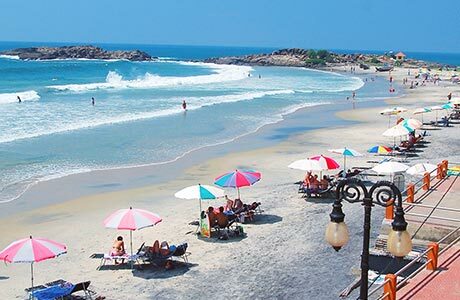 Kovalam, the coastal town is famed worldwide for its three fringed beaches separated by rocky promontories, alluring aura and a lovely slice of sand and sun. 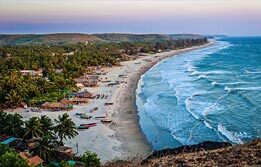 Thronged by tourists for all round the year, this beach paradise is one of the most loved beaches in India. 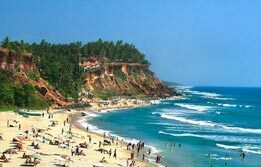 Kovalam beach tour is a great way to rewind and feel the value added pleasures of this natural renowned hinterland. 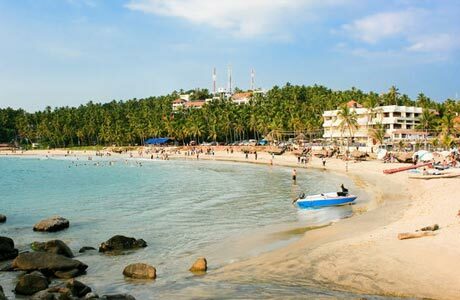 As its name suggests, Kovalam or a grove of coconut trees has every ingredient to make this beach tour a bewitching experience. 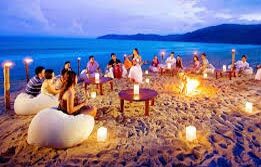 A vital destination during an Indian beach holiday, this internationally renowned beach is just 15 km away from Thiruvananthapuram or Trivandrum, the capital of Kerala. In its offing, Kovalam offers azure blue waters, cozy sheltered bay and sumptuous green palm groves spread over the three crescent beaches. These are Lighthouse, Hawah and Samudra beaches. 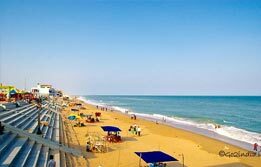 Light house beach is the most thronged beach where most of the visitors spend their time in leisure. Upon arrival, check into hotel for overnight in Kovalam. 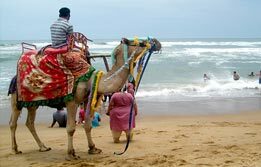 Explore the beaches of Kovalam in depth. The whole day is at the luxury of a tourist. Around the balmy surroundings of Kovalam beaches, travellers can enjoy the sun soak, take a dip in warm waters, or observe the sea in motion. Overnight in Kovalam. 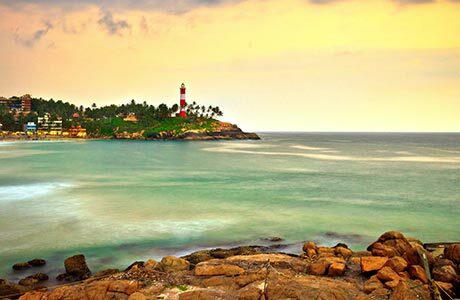 On day 3, check out Kovalam for a journey towards the onward destination. The international airport is just half an hour away in Trivandrum (1/2 hr drive). Note: Supplement will be applicable if travelling during 20 Dec'2019 - 20 Jan'2020. Room on twin sharing basis at Kovalam (Kovalam Beach Hotel) for total 02 nights. Hotel check in / out 12:00 hrs.